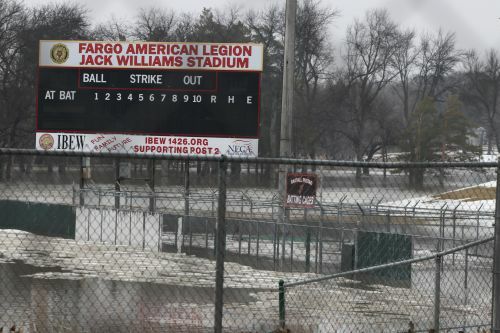 FARGO – Ice jams along the Red River are slowing snow runoff, keeping Fargo and other areas in North Dakota on the list for possible flooding. At 8:15 Saturday morning, the Red River rose another three feet since Friday cresting at 33.1 feet. Major flood stage is 30 feet, the National Weather Service reported. Wahpeton on the Red River, Abercrombie on the Wild Rice River, Kindred on the Sheyenne River, Enderlin on the Maple River, Hillsboro on the Goose River, areas in West Fargo, Harwood, Mapleton, Lamoure, Dickey, Logan, McIntosh, Emmons, and Stutsman counties are also in danger of flooding, according to the National Weather Service. Authorities also warn about trying to cross flooded roads or coming too close to river banks as the current may be swift and the river banks may be eroding. 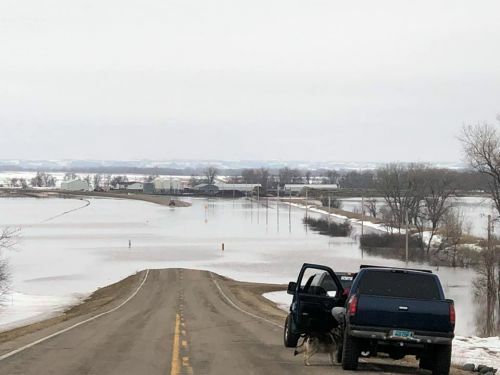 Last week, ice jams resulted in flooding of Highway 24 in Sioux County, the North Dakota Department of Transportation reported. Natives living in near the highway had to take emergency measures to protect valuables and worked an entire night sandbagging before the waters receded. 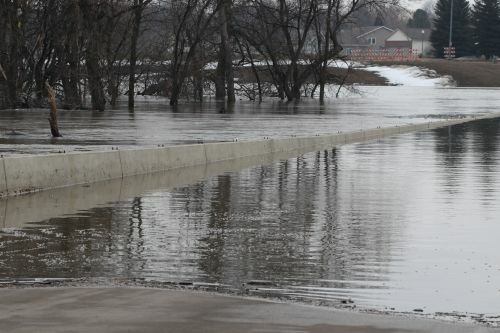 The City of Fargo is taking the National Weather Service’s predictions seriously, and all levees, lift stations, and temporary pumps will be staffed throughout the weekend. Fargo residents are urged to call the flood hotline (701) 476-4199 with any concerns including excessive water pooling on public streets or visible damage to levees or flood walls. The hotline is not meant for emergencies; all emergencies should dial 911. 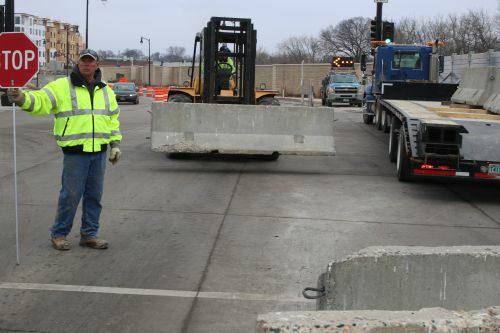 Steel walls have been erected throughout the city including streets such as First Avenue North. 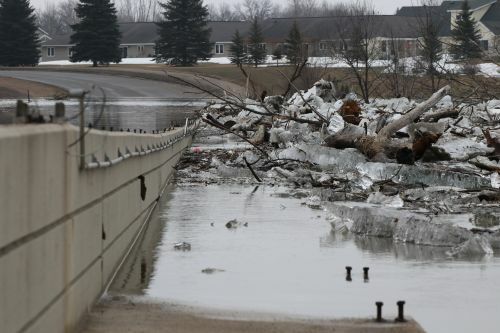 The former told bridge on 12th Avenue leading to Moorhead and Jack William Stadium is completely submerged in water, ice, trees, and debris. The Red River Basin is unique as waters flows north into Canada and because weather conditions farther north may not be as warm, the possibility for flooding downstream multiplies exponentially, the National Weather Service reported. So far this spring Mother Nature has been freezing snow melt every night, which has slowed rapid runoff, but with snow remaining and temperatures expected to rise, authorities are keeping a careful eye on the Red River of the North.